The United Methodist Church has launched an Ebola Emergency Response Plan in the face of an outbreak of the deadly disease in the West African countries of Sierra Leone, Guinea and Liberia. The ongoing Ebola outbreak continues to create problems and put strains on the medical systems in that region. At the last report, there have been at least 600 cases and 390 deaths since March 2014 attributed to the Ebola virus. Ebola, for which there is no cure, is a virus that causes internal bleeding and organ failure. It can be passed to humans by contagious animals, such as bats and monkeys, or be contracted by eating infected meat, or passed from person to person by touching dead bodies or the transfer of bodily fluids. “The current outbreak in West Africa,” according to Shannon Trilli, director of UMCOR Health, “is believed to be initially passed from bats to humans through consumption, being bitten, or through virus-laden saliva that bats leave on fruit then eaten by humans.” The virus can be killed through the use of soap, bleach and sunlight. The area of concentration is the Kailahun District in Sierra Leone, which joins Guinea and Liberia but extends beyond. 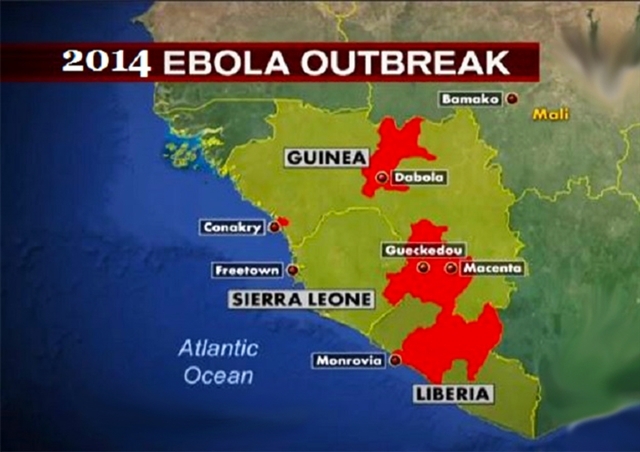 The number of cases reported as of June 20 suggest the largest Ebola surge in history. The disease has a death rate of 50 to 60 percent. International focus on the situation has been slow, partly because the area is isolated. As the infection area crosses three governments, slow response and coordination between three nations has also hampered efforts to control the spread of Ebola. In Sierra Leone, efforts by the government to prepare for new outbreaks have been focused on government facilities – making prevention and preparation resources available for non-government facilities, such as those of The United Methodist Church, quite scarce. Bishop John K. Yambasu of the Sierra Leone United Methodist Church has emerged as a strong advocate of emergency efforts and is helping to mobilize the United Methodist response in concert with Bishop John Innis of Liberia, whose episcopal area incorporates Guinea. The church effort involves treatment, prevention and public education. It is a joint effort by West African United Methodist church leaders and regional health boards, denominational health facilities, missionaries, and the United Methodist Committee on Relief (UMCOR), the church’s humanitarian aid and health unit. UMCOR is part of the church’s mission agency, the General Board of Global Ministries. The United Methodist response is being coordinated with government and other private agency responses. The United Methodist Committee on Relief (UMCOR) is partnering with the Sierra Leone Annual Conference’s health board to provide health facilities with materials to prevent contagion. They also will construct an isolation unit at Mercy Hospital. This will increase the ability of United Methodist health facilities to manage Ebola cases and to reduce the risk of infection to health workers. UMCOR has committed an initial $25,000 to reinforce and extend church response in coordination with the Sierra Leone Ministry of Health, according to Ms. Trilli. The church has a total of four hospitals and nine clinics in the three affected countries: three hospitals and five clinics in Sierra Leone, one hospital and three clinics in Liberia, and one clinic in Guinea. Additional allocations in response to specific requests may be possible as the program unfolds. 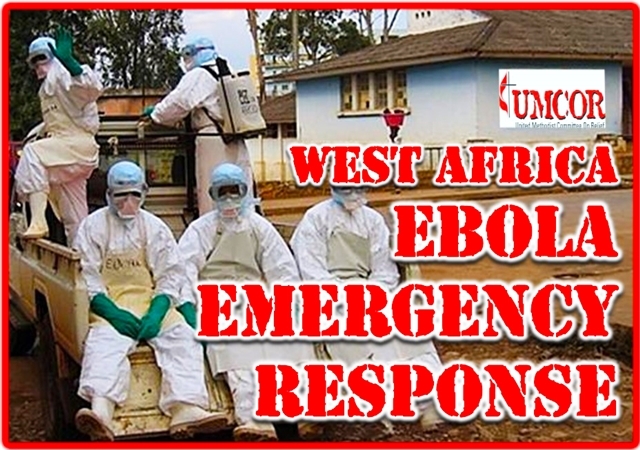 UMCOR has also pledged $50,000 to the ecumenical ACT Alliance for the West Africa Ebola response. The grant will be used to purchase supplies for patient treatment and management, construction of isolation wards, and the training of front line personnel to protect themselves from infection. Another part of the emergency response is community health education and awareness through community visits, sermons and the use of radio broadcasts and other mass communications. Gifts to the International Disaster Response, Advance #982450 enable UMCOR to respond to emergencies like this one in Sierra Leone. Please continue to pray for those affected by this outbreak.